Our CLEAN3 Deployable Systems are designed and manufactured to fit any application. Moreover, our Deployable Systems are based on the intermodal container platform and fit inside new or existing warehouse spaces. In addition, our flexible and transportable modular systems guarantee a minimized capital cost and a shortened timeline to get your facility online. 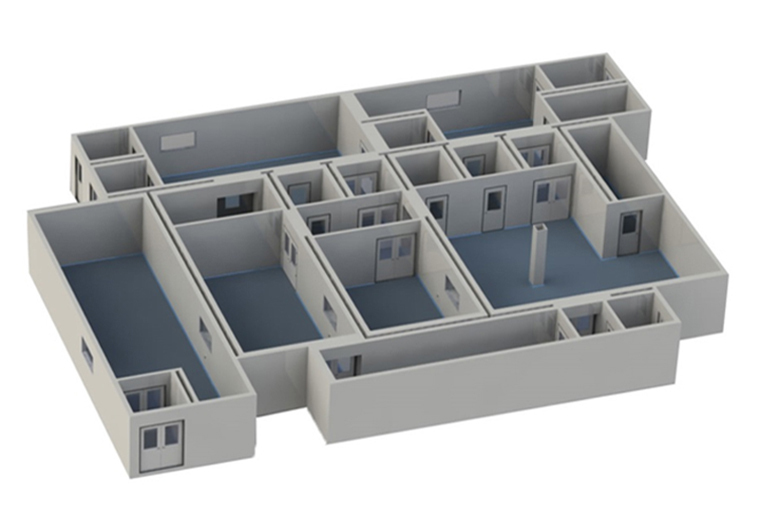 Further, all of our deployable systems offer controlled access by using a keypad to enter an anteroom (where personnel gowns prior to entering the controlled space). In addition, we ensure commercial grade HVAC Systems cool all of our facilities. In addition, each facility utilizes HEPA filtration system in order to maintain a clean environment. Lastly, optional waste disposal and disinfection systems are available depending on project requirements. 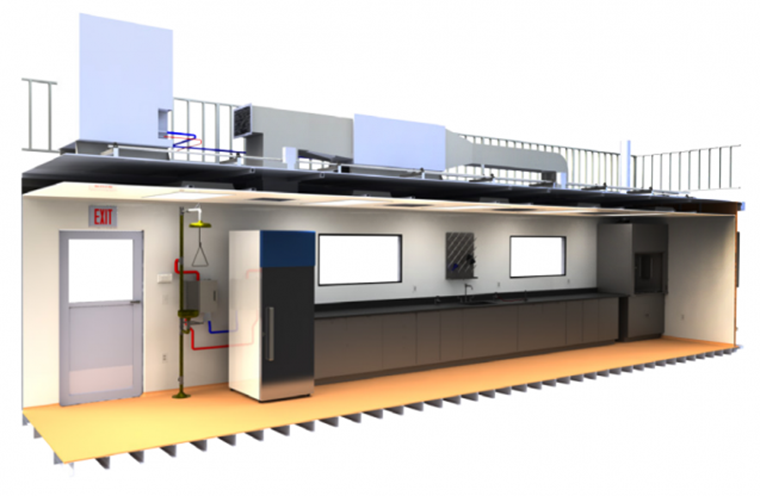 Our Aseptic Deployable Cleanrooms feature a Patent Pending Interlocking System and scalable design to grow as you grow. Further, our Deployable Systems are truly modular, portable and fully customizable. Moreover, specific project requirements will determine the HVAC System size. In Addition, our construction materials are fully cGMP compliant and offer full coving between horizontal and vertical surfaces. Furthermore, our flush fitting windows and ducting allow for easy to clean surfaces. Moreover, all materials are capable of withstanding harsh cleaning chemicals. Lastly, a wide array of wall and flooring materials are available per customer preference. Lastly, the Containment Interior of each Deployable System allows for fully customizable dimensions to suit any critical environment application. Our Biorepository Cleanrooms feature cGMP compliant storage and 24/7 sample temperature and equipment monitoring. Further, we offer FDA 21 CFR Part 11 compliant monitoring, controlled access via card system and automatic alerts. Additionally, each biorepository features low temperature storage equipment (wired, powered and tracked independently). Our Facility and Service Options include: Redundant HVAC System, Inergen Fire Protection System, Back-up power, Inventory Management System, Compliance, quality assurance, business, Continuity planning, SOPs and Comprehensive sample asset management.